Top: Dark Oxford Blue Velevet Blouse features sweet and lovely embellishments accentuates on the sleeves. Cap sleeves. Bateu or Boat neckline. Concealed hooks closure back. 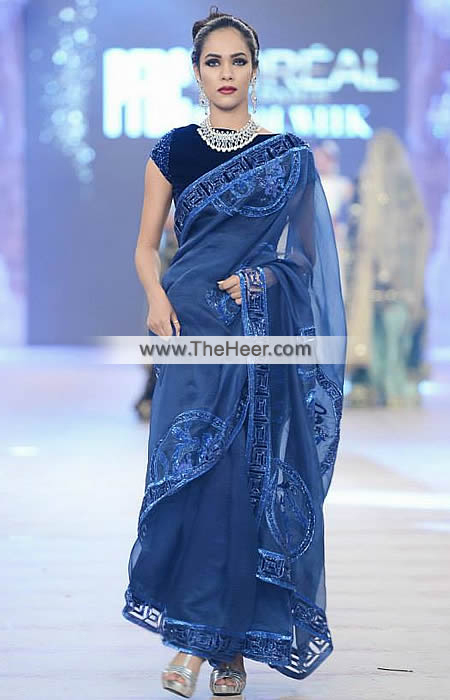 A marvelous designer saree is an extremely covetable style for women in their wardrobes. Click the button below to add the SR6017 Dark Oxford Blue Dark Prussian Blue Velvet Crinkle Chiffon Saree to your wish list.